Cooler Master popped into the bit-tech offices the other day and was keen to let us in on its new brand - Cooler Master Storm. Cooler Master explained it was diversifying - no longer can you make one case series to suit all, and in that regard Storm will become its brand with a focus on features for gamers. So is this another company jumping on the "gamer" bandwagon then? Hmm, to some degree, yes, but it's more of a long consultation and careful consideration rather than knee jerk reaction - the product developers told us that the first three cases that will launch this coming winter (likely December) could have been launched three times already. 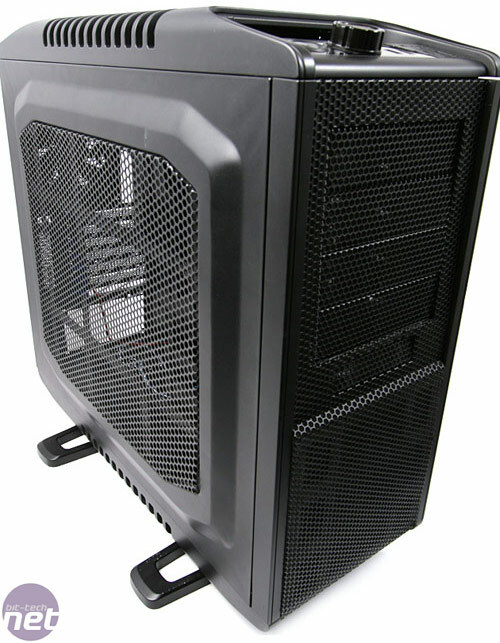 It seems odd that more many case manufacturers are just now designing "gaming" cases, especially as Antec and Thermaltake have come to dominate this market segment in the past two years. Cooler Master are hoping this isn't the case though (sorry, bad pun), and it has done yet another tour of Europe in order to get more opinions about the design and feature set to get it right from the outset - it's taking the Storm brand very seriously. 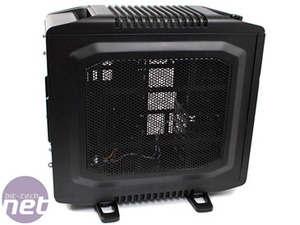 The hint was that we'll likely see PSUs and all number of Cooler Master products under the Storm brand, although if they'll all be specifically tailered to work together in style/design or hardware features, we're not yet sure. 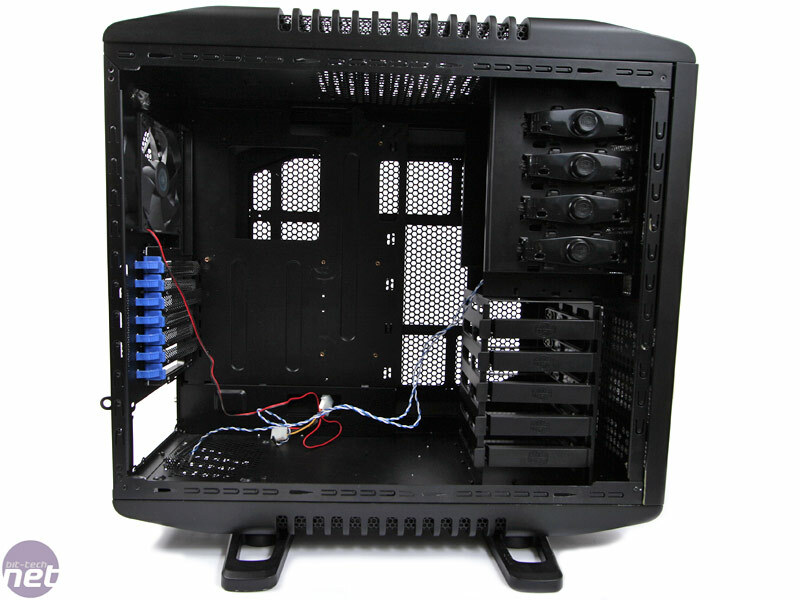 The Sniper case brought in was very early sample built on the Cosmos shell this will change as the new Sniper has a completely new chassis with Storm-grade features. 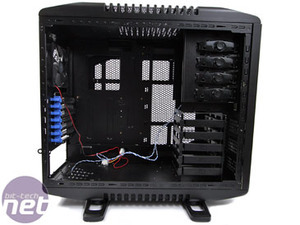 This case is the smallest that will be available, with two others increasing in height that'll rival somewhere in the region of the Lian Li X2000, apparently. 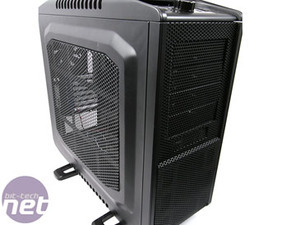 To counterbalance the loss of stability, Cooler Master said the tallest will also have a fatter bottom too, although we find it hard to imagine what this will look like. 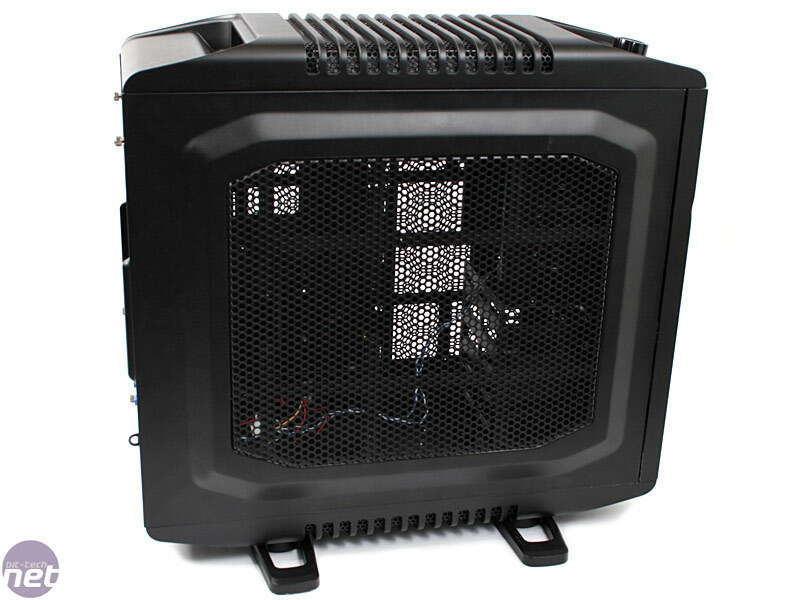 The function panel has the biggest change - with a large, easy to use dial to regulate the fan speeds of the four case fans, three of which are huge: 220mm in the front, 230mm in the roof, 240mm in the side and a usual 120mm in the rear. 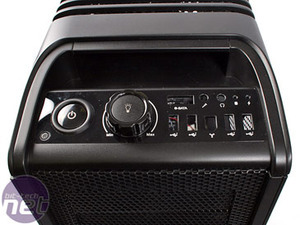 The large light bulb button in the middle turns the fan lights on and off, and the front connectivity sports four USB 2.0 ports, Firewire, eSATA and front audio jacks. As with everything in case design, it has polarised the office - Harry, the gamer and frequency LAN attendee that he is loves the idea of an easy to use and very obvious fan controller with separate light button. However in my own mind - the iPhone generation is used to something like a touchscreen and this lacks elegance and style in favour of brash simplicity. The light or power buttons aren’t even backlit (ideally they need to reintroduce the Stacker one that scored 10/10 on the Martin Test), or the power button could come with a ring that lights once it's on - there's many clever combinations but the current function panel is just so simple (even if it wasn't yet wired up). COMPUTEX 09: Want something to go with your new Storm chassis? How about a nice mouse with a range of mats from Cooler Master?